Ten problems and 60 minutes means teams have just six minutes per problem. They are a mixture of work-based issues and conventional conundrums that together highlight some key approaches to problem solving. For each problem teams identify a specific problem solving approach or rule: lateral thinking, brainstorming, step-by-step logic and ‘fish-boning’ can all be used. Do teams assess the difficulty of each problem? Do they use special skills within the group? Do they have a strategy? 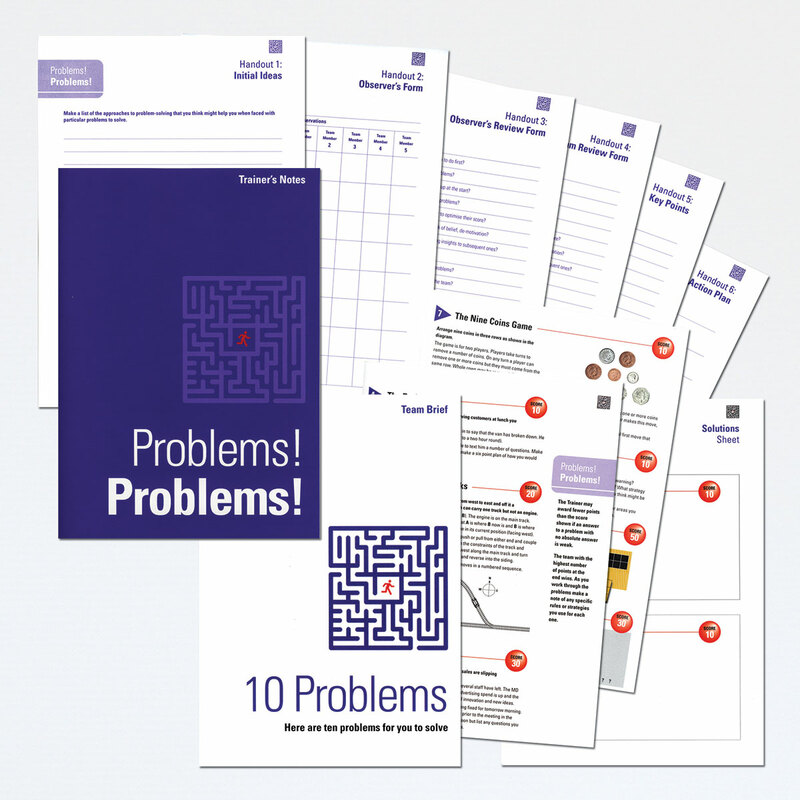 Do they complete all ten problems? And do they make the best use of the limited time? The lessons at the end – fully laid out in the Trainer’s Guide (along with all the solutions and explanations) - can all be related to what happens at work when problems arise. Observer’s Forms and Team Assessment Forms provide for in-depth assessment of the problem solving competencies. Handouts on Key Points give participants something tangible to use for reference back at work. Problems! Problems! provides a valuable opportunity to think about different theories of problem solving and put them to the test. 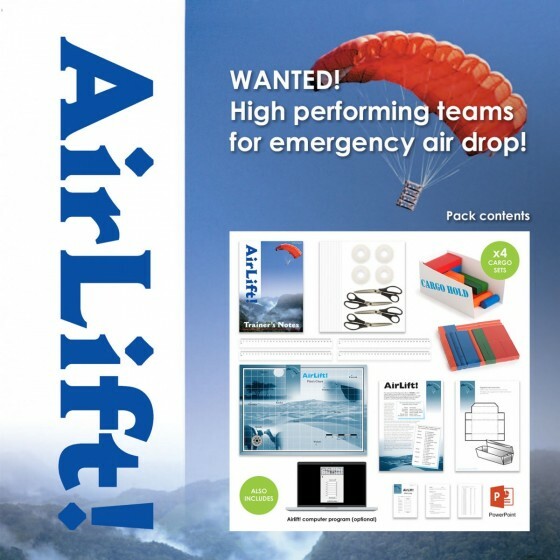 Issue Team Briefs and Solutions Sheets. 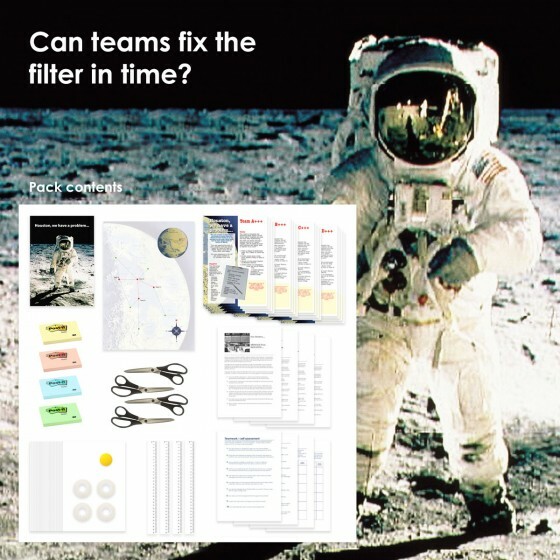 Allow 60 minutes for teams to try and accomplish their objective of solving all ten problems. Observe the teams in action. Observer’s Forms are included. Lead a Debrief on the issues raised and relate back to the workplace. 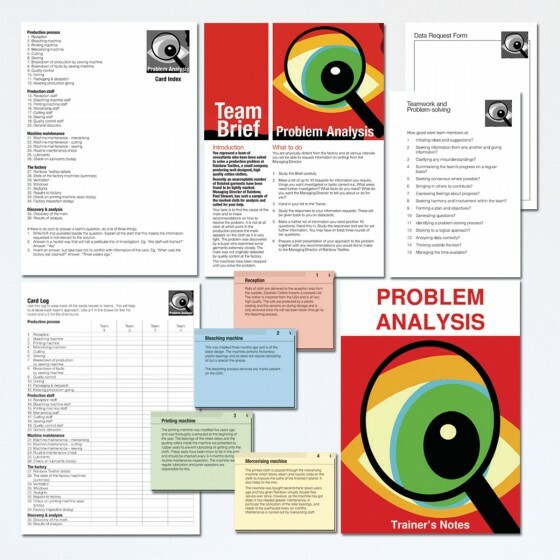 A well constructed and presented exercise to develop team problem-solving skills in a fun and interesting way. 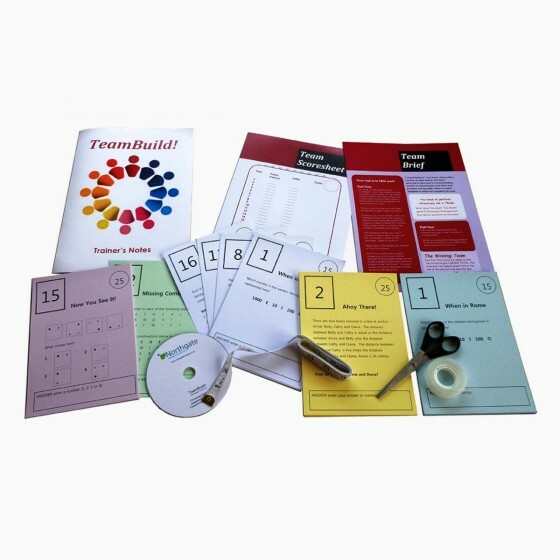 Can be used flexibly to allow other learning skills such as teamworking and communication. A very good catalyst to incorporate into existing problem-solving programmes. Enjoyable, worthwhile exercise – and feedback from delegates was great. All in all, an excellent experience. I have used 'Problems! Problems!' as an icebreaker and the activity has been well received generally. I can also use it to reinforce that, in this industry in particular, a team/group is made up of diverse individuals who bring their individual skills and strengths to the team. We have to be very careful with our choice of material to make sure we do not offend cultural and religious beliefs. On previous purchases and potential purchases your company has been very helpful in advising on appropriateness. It has been very useful to be able to discuss the content with someone.